This month's blog is going to be ALL about the eclipses. BOTH of them. Only one is getting a lot of hype. The second one, and the one that is seventy miles across AMERICA. Before I get into the details of what this means for you- me- and the world, but especially for America, we need a one way conversation about how this astrologer views eclipses. 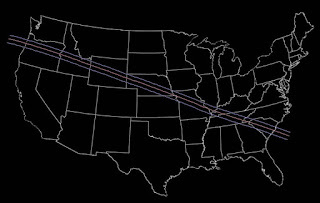 The focus is on the "outer" event, the magical total eclipse that happens on the 21st of August in particular. And yes, its a moment for pause. The birds stop singing because they think its night, flowers fold up, a silence descends over many as they watch (or feel) the cosmos strut their stuff. A show stopper to be sure. For me, as a practicing astrologer (this is how I make my living), its all about the INNER event; that is where the real juice is. Now I will give the small speech I give "poo-pooers"~ when they give me shade, squinted eyes, or laugh it all off as not having any 'influence' at all.........yeah, right. Ever go to the beach at high tide? (FULL MOON). Ever imagine how you'd grow food and live without the Sun helping out? Have you ever tried planting seeds in a hail storm? (not unless you hate yourself)... Astrology "weather"....this is what it is about. Cycles. We are in them even if we don't know it. The lights and the planets do their work and bidding as we earth-schooled below ignore their presence. But, they are silently (or not so quiet) pointing us (like a BIG SPOT LIGHT ) on paths, options and possible pitfalls to avoid. Astrologers know the importance of "knowing how to read the signs"... Its a language- a symbolic one. A fascinating one. No birth chart is a like! No one's potential is the same. We are all snowflakes!!! But a good astrologer can help you make sense of your road map and help you build your own special snowman/snow-woman. And during eclipse season you want to have as much information as you possibly can...if your birth chart is being lit up. Not every one's is- for every eclipse..but this one is rather special for all. If you didn't know how to read a road map (and many don't these days)... you might look at that piece of paper and think someone a fool for expecting it to be a guide to get across the country with. All those lines and symbols... How the heck does that work? But it does for the educated. Astrology is the same. To me, anyone who wants to limit the tools in their tool box is doing so, because for whatever reason, they do not NEED or WANT to know themselves in this esoteric way. That's cool. Truth - astrology is really very practical (at least in my practice) its the mystery of WHY it works (and it does!) that is esoteric. Divine likes to keep us humble, I guess. Astrology is not unlike Mythology. There is a subtext going on. And its universal in its message, but also sometimes very tailor-made for your growth. Its your story, and you help write it...but there are influences playing a role. Tendencies. Strength and Weakness being played out. Harnessing of ones life force. I stopped with the naysayers along time ago- because when you have direct experience about something - you can't deny. It is interesting some of our greatest minds in history were astrologers. Benjamin Franklin, Sir Issac Newton, Jung all came to it- to debunk it.....and after studying and putting it to the test- incorporated in to their lives....TO HELP. Most people who like to put astrologers down do not even know what a birth chart looks like. So how can you have a conversation with that? You can't. It is pointless. Also, in the centuries of past Astrologers and Astronomers were one and the same...somehow a battle started (I blame the Church) and now we can't even be in the same room. One is focused on the inner and one is focused on the outer. But the one who is focused on the outer refuses to look within. I find that closed minded. Boring. But WHAT exactly can an event like an eclipse do? It can give you a heads up of the weather to come, and how to be as prepared as possible. Take advantage of the openings and shore up your psyche for the closing doors that will happen. Recently, I was told by an astrology client, who is also a long time friend: "I feel naked around you". My response: "You are!". But, I am the keeper of the people's secrets and tenderness, and the helper to guide them to be the best they can be via the chart's instructions. So, nakedness is not a bad thing in my mind's eye. YOU can not grow unless you face the nakedness of your truth. The astrologer's role is to be a mirror to help you better see yourself and make better choices, timely ones. There is nothing 'foo-foo' about it. This is serious stuff when you start looking within! I am much more fascinated with the inner world....its loaded with comedy, tragedy, a cycle of highs and lows. IT is where the real show is...and its ALWAYS your own private screening. People are much more comfortable with holding on to their 'masks' but you do not evolve playing a role as an actor. You might give a great performance, but who wants to come to the end of the third act to realize they've never allowed themselves to TRULY be themselves? So, along comes the eclipses- and they will scream: ARE YOU BEING TRUE? START BEING TRUE NOW, as if YOUR life depended on it! Listen to your HEART. For that you must get silent. You must go into the cave of your very being. At first it will be without light...just like how the eclipses BLOCK light.... its pitch dark. In the dark is where mushy compost fertile energy is. Oh, yes, at first it can get a bit messy....but wow, what can grow out of that richness...... magical. The Lunar Eclipse that happens on Aug 7th is in Aquarius. Its a full moon with sun glasses on. This means you do not have all the information that you need at this time. People are COMPELLED to act during eclipse season (10 days before each event and three days after each one)......... but its really NOT the best time to make the life-changing choices. Because you do not yet have the perspective that you will need to really carve the path. Its like searching for something in the dark...can you wait for sunlight to make it a bit easier to find? Sometimes you do not have a choice. The universe has thrust upon you an event such as losing a loved one, job, health, or desire to continue on as you have........ and so- you pause. This is right action, to pause as much as you can....and then you act. This Lunar eclipse is about letting go of worn out ideals, clans, networks (too much cyber time!!) and friends whom you have out grown. Sometimes we hang on just because we fear the unknown. Aquarius is 'group' think. So EVERYONE is going to be questioning if 'their group' has the best interest of all at heart. THE TEAM is being shuffled for sure. IF you birthday is around Aug 3rd-9th, Feb 1st-7th, Nov 3rd-8th, or May 2nd-7th.... your sun sign is being activated by this Lunar Eclipse. You need to pay attention to your choices now. Give extra love to yourself via SPACE. CHILL. These are not the only degrees that will feel this eclipse...if you have planets at the 13-18 degrees in the fixed sign this is a special time for your to reassess your life's direction. Astrology is not as 'simple' as sun sign columns make them to be...well, when one is writing for the masses you have to generalize. But, when looking to a certain chart- all kinds of factors are taken into consideration- this is why personal consultations are useful. For the reading public I try to give a brush stroke of useful information. The lunar Eclipse at 16 Aquarius is about "big business". Mergers that take place behind closed doors. How those mergers effect the common man. The moon will be in a trine to Jupiter in this Lunar eclipse. Its about the 'fairness' of contracts. It in some cases will bring some wonderful partnerships. See, eclipses aren't good or bad...its our attitude about CHANGE that makes them so. The biggest word for both of these eclipses is: CHANGE. Brought to you sometimes in very dramatic ways. Sometimes WE WANT CHANGE! So we welcome the new path. Because we have to let go to make space for the new, down the line we realize what we have to 'give up to get. There is sometimes pain with that. Not always. Everyone is different in their reactions. The winds of change will be stronger for some than others. NOT everyone is effected by each eclipse...thank the divine for that...because a steady diet of change is hard to digest. Very much about domestic movement... the HOMELESSNESS CRISIS is going to be front news and Center in your face for the next year. Solutions WILL BE FOUND. This is a full moon, so its ping pong on some debate about the housing crisis (BUBBLE- AGAIN) in all the world. Partly - homelessness will happen because of BIG earthquakes. We are in a sensitive time with freak weather of all kinds, but certainly a Lunar Eclipse in Aquarius opposite Mars brings on some earth movement. Inventions will sky rocket! People who work in the air travel industry are also going to go through changes of policy. Big shake ups at the top. What is the meaning of 'friendship' to you? This is a great question for everyone to ask themselves. 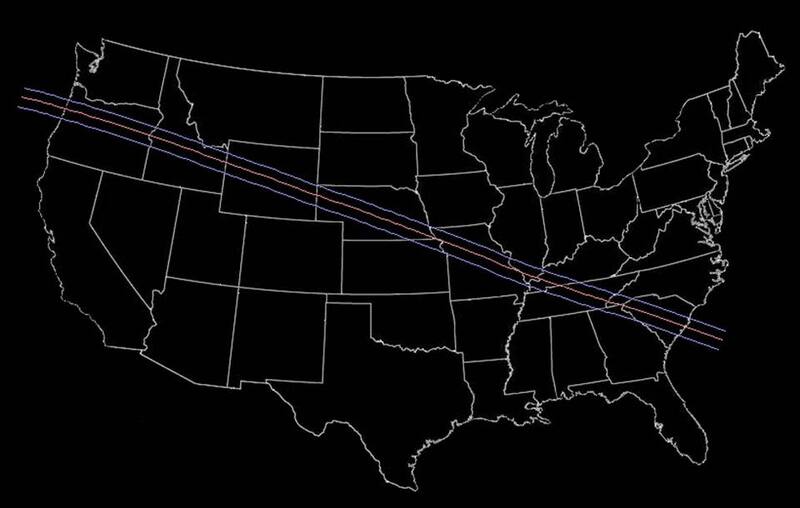 Now, to the Total Solar Eclipse of Aug 21st. 29 degrees of Leo. The Lion's heart. New Moon with Sunglasses on. - HOW CAN YOU SHINE FROM THE HEART MORE? Where are you 'hiding' your talent? What is holding you back? Where is the truth of your life's purpose, at THIS point in your life? FIND your SHINE SPOT. Leo is very generous. The Lion protects the den. The Lion's roar is not muted, LOVE does not scream, it PURRS. Its a vibration. It leads EVERY choice. How to find that purr of oneness when you are in the dark? You go very very very deep inside and let your eyes 'adjust' to the inner world. Then once you are in the vastness and you feel that you have dropped PAST the edge----------------------------------------------***** YOU SOAR with your voice!!! This degree is of KINGS and QUEENS. The Total Solar Eclipse is in a trine to Uranus. WOW! That is breaking the sound, light, earth barrier. That is OPEN MIND. COSMIC DIAMOND AWARENESS. You will ONLY get there by NOT LOOKING OUTWARD. Its not outside of you- your kingdom is WITHIN. Make it a one way ticket! Will everyone have this spectacular life changing awareness? Not all. Not at first. But, yes, many are waking up to what it means to be open- hearted and full of a zest for life and love of ALL living beings. This Total Solar Eclipse is going to heat things up. Leo is a fire sign. Mars is very close to it in Leo as well. IF you do not take care of your heart....it will give you much trouble. I mean that literally and symbolically. America's heartland is drench in this Total Solar Eclipse. We are about to have open heart surgery. The question is: "HOW has America allowed its heart to become so eclipsed?" (blackened with hate, jealously, fear, envy, lack of compassion for the poor). We will change as a country in the next 12 months- like nothing before. The public is going to RISE UP and the chant is going to be: CHANGE! CHANGE! CHANGE! I believe this total solar eclipse will bring an end to - the two party system. IT will happen over a period of time, but it is going to end. The two party system has failed us. We need a REAL round table. America's heads of state will change. By heath crisis or by the voice of the people. Trump's Mars is begin activated by this eclipse, his anger will come back to him full throttle. All that hate on the trail has gone out into the universe....and it will boomerang back at him and his closed heart policies. But not before we go RIGHT TO THE EDGE. The shift will be in the way that middle of America pumps blood through the body of this country. Having the blood supply cut off only brings death. And with every death is a REBIRTH. We are already in the process of rebirth. Not to be 'great' but to be WITH HEART, WITH LOVE. By all the small acts that each and everyone does in the day to day life to give a healthy heart. Feeding your neighbor. Aiding the one that lost everything to flood, fire, or just plain lack of luck. A disaster is here-(America's heart Valves are clogged! ), and like all 'tragic' events- as soon as we can, we rush in to where we can be of help, because our heart is BLASTED open. What will it take for us to get there? Only divine knows that one for sure, but I have no doubt it is coming. This show stopping event...and its not the one you look up in the sky to see, it is the one that is tied to your beating heart, so listen fully. This will bring you to a place of new beginnings. The arteries are being cleared so that the life force can flow freely. Look to your childlike innocence and ask how you feel about 'playing' and what puts a smile on your face? How do you love others? Is it with a romantic heart? Do you need to 'allow' yourself to love more? or BE loved more? Do so! What did you dream of doing as a child, and pushed it aside because it wasn't 'accepted' by one parent or another? Are you chained and bound to something (job, mate, illness, city, life-style) that prevents you from feeling alive? This is THE time to examine what foolishness needs to be pursued while you are still able to do so! Have the lion's courage to walk the razor edge and propel yourself into the center of BEING. Your 5th house is being activated and asks you: WHY DO YOU CREATE? FOR WHO? Learn to PLAY again and you will find the answer. Love as if it was your first and last day on earth. Home is where the heart is, and if its not, time to move! Pay homage to the mother and all births that you have had in your life. Big garage sale due. Relationships with brother and sisters needs a b12 shot. Give back to your community. Serve at a soup kitchen near by. The short story can be re-written now, give it a happy ending. Speak the truth or get burnt. Work should be what you love, or at the least- put your heart into it, or get nothing back. How you spend, earn and what you are capable of doing when fear is gone is about to be revealed. Go for the lead. IT is ALL ABOUT YOU! Seriously, this is a life-changing time. Put it all on the line. We will be clapping with you when you nail the triple axel jump. This is not the time to be alone, but do not lose yourself in partnership-find it! Time for some serious spiritual study or retreat. You really do not know WHAT you do not know. But being brave and hanging in the dark, will bring the light. You will lead from behind the scenes for now, but this is just prep for the coupe. Timing is everything. WHO you know matters more now than ever. The keeper of the gate could open a new kingdom for you, but which key fits with the visions you have for yourself? Learn to lead in the crowd without stealing the show. Be the humanitarian. Have a cause to fight for, even if you benefit. The boss will be changing. Daddy isn't the big bad wolf if you find the way into his heart. IF you aren't following your 'mission' you've got a chance now to do so. Discovery of what you are capable of, isn't near as scary as sitting on the sidelines frozen. You are fearless - remember? Time to travel. Be it with the body, a book, or a very dramatic move on your part- back to the school of higher learning. Any ideas for publications should be followed! If you aren't writing one- at least read many! No travel without a passport. It is all life and death. We are either living the life we want, or we are dead. Take extra care of yourself right now. You are due for an understanding of what 'other people' value....and just might be the receiver of unearned monies. Of course you did earn them, in a past life, or this one...but do not forget uncle Sam's due. Your partner might be making headlines, but you are the co-creator so be sure to ask for credit on the playbill. It is perfect timing for you to develop deeper heart partnerships. It is way more fun to have someone to play with than building your sand castle alone. The more you give the more you get. A new work opportunity is on the horizon. It involves ways that you either shine yourself, or you help others finding the ONE thing that sets them in joy. Performing with all your heart guarantees success. All the world is a stage, and say your words so they can be heard in the pink seats. Your pets are the children who need you most right now, save them with love. Wishing everyone a safe view of the Total Solar Eclipse......whatever is revealed to you- may it lead you to your divine space that is never eclipsed and shines within- ALL WAYS.